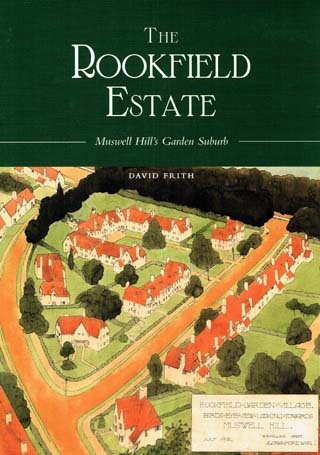 This book traces the early history of the Rookfield Estate from when the site was first enclosed from Muswell Hill Common to its acquisition by W. J. Collins in 1899. It includes a history of the Collins family who were responsible for the development of the Estate. Based on the Hornsey Council’s records of building approvals, it gives a detailed description of the estate’s development. The text is enhanced by over 80 illustrations, featuring old maps, old views and photographs of many of the houses. David Frith was a town planner by profession and has lived in Muswell Hill since 1966. He was appointed as the first Borough Planning Officer to the new London Borough of Haringey on its inception in 1965 and held the post for 22 years. He is Vice Chairman of HHS, a member of the General and Publications Committees and he is also the society’s Conservation Officer.